Some people like that effect and gravitate to adding pineapples on their pizza just for that. This depends on the type of pineapple form. Really wet versions, like canned pineapple, will make a pizza soggy, but freeze-dried pineapple can actually wick away moisture. Pineapple shouldn't 'get the heat' from making a pizza 'gross and wet', when other situations cause that to happen too. 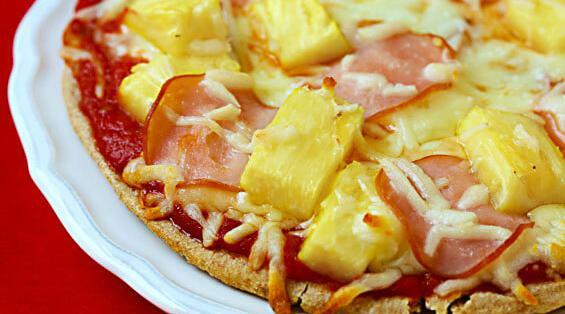 There are many pizza toppings that are way more gross than pineapple. rare, so people really should be talking about the grossness of how we allow a popular food get so many people sick than its wetness being gross. Grossness is in the 'eye of the beholder'. One perosn's gross is another's yum. There are other ingredients in pizza that match that description, like pizza sauce, yet there's no complaints about that.